AYR department store Hourstons is holding a friends and family evening between 6pm and 9pm on Thursday 4 December. General manager Linda Lawson says: “We look forward to welcoming our regular customers and friends in both the business and the wider community to what we hope will be a most enjoyable evening. 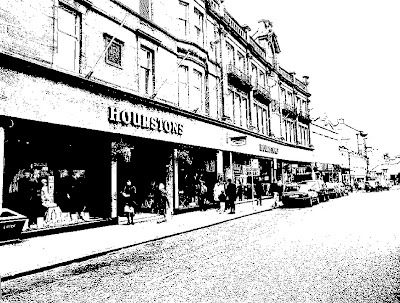 In the late 1880s David Hourston, who had arrived from Orkney, opened a shop in Kyle Street. Such was his success that he built a new shop in Alloway Street in 1896 and took in his two sons as partners. Thus began the firm of D. Hourston & Sons. On David’s death in 1917 the sons took over the business which had become one of the largest retail drapery establishments in Scotland. Its tearooms, smoking rooms and roof gardens became famed across the country. In April 1949 the business was acquired by the House of Fraser group and in the years following, various changes took place, both in name (it became Arnotts for a time) and in ownership. Happily, the original name has now been restored and Hourstons remains one of the busiest stores in Ayr. There are currently 407 Ayrshire business stories permanently archived on this site. To locate those of most interest to you, please use the site search facility in the top left hand corner of this page. Type your search term in the white box, then click “SEARCH BLOG”.